Natasha Gordon’s hugely successful Nine Night which premiered at The National this spring transfers to The Trafalgar Studios from December. Natasha will take the role of Lorraine in the West-End transfer of her debut play for which she recently won the Charles Wintour Award for Most Promising Playwright at The Evening Standard Theatre Awards 2018. Gavin Spokes will play Harry in Marianne Elliot’s updated production of Company Stephen Sondheim’s musical comedy about life, love and marriage which will run at The Gielgud Theatre, West End from October. Tom Edden joins the Jamie Lloyd Company for Pinter at The Pinter, a season of one act plays in which he will perform Trouble in the Works, Night and Girls. Anita Reynolds joins the cast of ear for eye at The Royal Court Theatre with Debbie Tucker Green directing. Robert Hands will play Nick in the Tony Award Winning Come From Away directed by Christopher Ashley and premiering at The Abbey Theatre Dublin before transferring to the West End in January. Nicholas Lumley transfers to the Garrick, West End with the RSC’s Don Quixote with Angus Jackson directing with Richard Dempsey also joining the cast as Duke. Elsewhere graduate Patricia Allison will play Hermia in The Sheffield Crucible production of A Midsummer Nights Dream directed by Artistic Director Rob Hastie, Hayley Carmichael joins Les Bouffes du Nord’s production of The Prisoner directed by Peter Brook, Michelle Bonnard plays Darina in Iqbal Khan’s Tartuffe at The RSC, Sara Powell joins the cast of Adam Penford ‘s revival of The Madness Of George III with Mark Gatiss in the title role at Nottingham Playhouse. 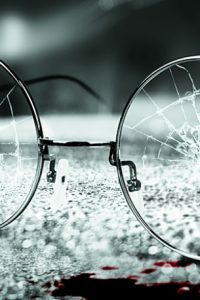 Openings include Dan Rabin in the Chichester transfer of King Lear playing at the Duke of York’s Theatre and staring Ian Mckellen, Scott Karim joins the cast of The Village, Nadia Fall’s first production as artistic director at Theatre Royal Stratford East. Howard Ward, Sophie Stone and Clemmie Sveaas all join Michelle Terry’s inaugural season at Shakespeare’s Globe (in The Winter’s Tale & Eyam, Emilia and Othello. Jenna Augen and Peter McGovern, meanwhile, continue at the Criterion Theatre in the hit show The Comedy About A Bank Robbery, Jason Callender continues in the West End company of The Play That Goes Wrong. Josie Walker returns to the West End with Sheffield Crucible’s production of Everybody’s Talking About Jamie in which she plays the lead role of Margaret; Jonathan Butterell directs opening at The Apollo Theatre in November. Olwen May plays the Butcher in St George and the Dragon with Lyndsey Turner directing for The National Theatre whilst Clemmie Sveaas will begin rehearsals for Pinocchio with John Tiffany directing. Also opening at The National this Autumn for a limited run is Oslo with Geraldine Alexander and Howard Ward, transferring to the Harold Pinter Theatre from October. Tom Edden returns to the West End as he takes on the role of Mr Wormwood in Matilda for the RSC at The Cambridge Theatre. Lisa Palfrey, meanwhile continues as Big Mama in the Young Vic’s production of Cat On A Hot Tin Roof at The Apollo. Scott Karim joins Nicholas Hytner’s exciting new venture at the Bridge Theatre for his inaugural show Young Marx, Geoff Leesley transfers with Trouble in Mind, Laurence Boswell’s acclaimed production from Theatre Royal Bath coming to the Print Room Coronet and Jenna Augen plays Val in The Knowledge at the Charing Cross Theatre with Maureen Lipman directing. Laura Rogers joins the cast of Rules For Living with Simon Godwin directing for ETT with Natalie Radmall Quirke also joining the company playing the lead role of Valerie in their celebrated revival of The Weir. Meanwhile at The Royal Exchange, Sophie Stone starts rehearsals for their much anticipated stage adaptation of the cult film Jubilee, Carol Macready, Kriss Dosangh head to Home Manchester for Walter Meierjohann’s production of Uncle Vanya and Patricia Allison plays Susan in The Harper Elliot/West Yorkshire Playhouse co production of The Lion The Witch and The Wardrobe directed by Sally Cookson. David Seadon-Young will play the role of Adam in An American in Paris, the award winning Broadway musical opening at The Dominion Theatre in March 2017. Aleksandar Mikic reprises his role as The Lead in The Wish List directed by Matthew Xia at the Royal Court, Daniel Rabin opens in Robert Icke’s Mary Stuart at The Almeida, Howard Ward is in rehearsals for Wild Honey at the Hampstead Theatre, Gavin Spokes plays The Dame at this years Hackney Empire Panto Sleeping Beauty whilst Clemmie Sveaas returns to the Royal Opera House in Javier de Frutos’ production of Les Enfants Terribles. Laura Rogers will perform in Winter Solstice directed by Ramin Gray for The Orange Tree and Sarah Malin will play Prospero in The Tempest at the Southwark Playhouse directed by Amy Draper, whilst Arabella Neale takes over the role of Patricia in David Hare’s The Red Barn at The National’s Lyttleton Theatre from December. 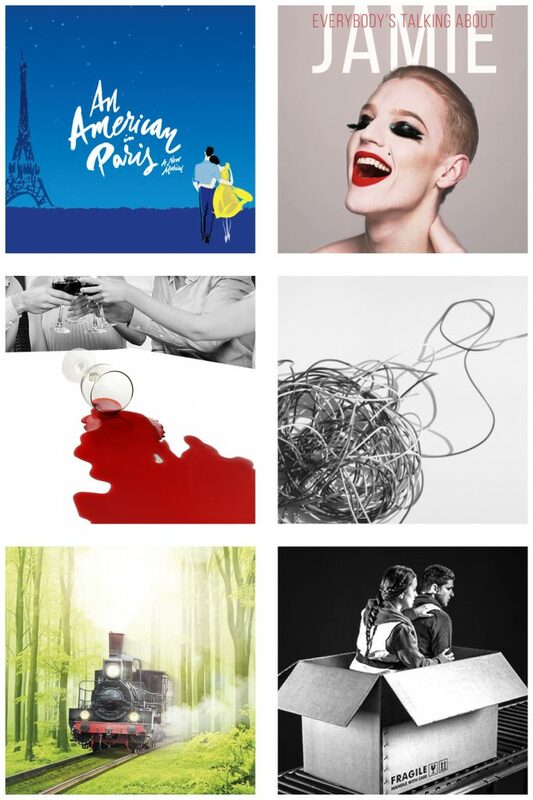 Succesful openings include Tom Edden in Amadeus at The National Theatre, Stephen Kennedy in The Old Vic’s King Lear with Glenda Jackson, John Mackay in EV Crowe’s The Sewing Group at The Royal Court and Graham Turner in King Lear & Cymbeline for the RSC at The Barbican. Also transferring to London with the RSC are Sam Alexander and Peter McGovern in Much Ado About Nothing and Love’s Labour’s Lost playing in rep at the Theatre Royal Haymarket. At The Sheffield Crucible Josie Walker will join the cast of the Everyone’s Talking About Jamie playing Jamie’s mum Margaret in the coming-of-age story of a teenage drag queen directed by Jonathan Butterell. Lisa Palfrey joins the cast of Headlong’s new Jack Thorne play Junkyard directed by Jeremy Herrin, RADA Grad George Caple is to join the fist resident Rep company at The Liverpool Everyman in 25 years where roles will include playing Romeo in Romeo and Juliet directed by Nick Bagnall. Geoff Leesley has opened to excellent reviews in Trouble in Mind directed by Laurence Boswell at the Ustinov Studio Bath whilst Richard Dempsey plays JJ Silvers in Strictly Ballroom and Jenna Augen plays Grandma in The Witches, both opening at the West Yorkshire Playhouse. 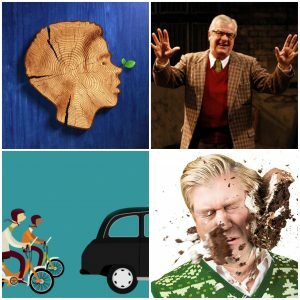 Jason Callender meanwhile begins rehearsals for The Play That Goes Wrong Tour, Sandy Foster opens in Maria Aberg’s production of Fantastic Mr Fox touring the UK next year and Jude Monk McGowan takes Punchdrunks acclaimed London show Sleep No More to Shanghai.